All the Way, the latest full-length from local ambient project TALsounds, aka Natalie Chami of experimental group Good Willsmith, opens with gentle synth notes, unearthly and largely indecipherable vocals, and what sounds like the gentle pitter-patter of leaves and branches rustling in the wind. Good Willsmith member and Hausu Mountain cohoncho Max Allison sent me All the Way at the end of April, and though I can't recall connecting the dots at the time, the opening song, "Only One," and some of the other tracks on the immersive All the Way have elements reminiscent of spring, of nature slowly appearing out of winter's shadow. What I knew at the time was that I immediately liked All the Way, which Hausu Mountain will release on Tuesday. Chami, 28, began performing as a solo artist back in 2009, but she'd been playing music long before then. Before she hit her double digits Chami was playing with a piano her mother had purchased for her older sister. "I remember having the piano in the house and playing the keys—just messing around, improvising as you will," Chami says. "I was just a kid playing a toy, that's all I knew. My parents tried to enroll me in piano lessons when I was three, but they said I was too young and I had to wait until I was reading in school. So I started when I was five, and that was kind of it—I just loved it." She loved playing piano so much her mom would threaten to take Chami's piano lessons away from her as a punishment. "It was my favorite thing to do, and it was the most consistent thing in my life," Chami says. Her family moved a lot during her childhood—Chami says she went to about nine or ten schools before getting her high school diploma, but most of the hopping around happened while she was growing up in Windsor, Ontario. Chami's academic musical chairs came to an end after she moved to Falls Church, Virginia, just in time for middle school. The schools she went to in Canada didn't offer music in schools, and once she got to the States she joined a choir class. In high school she got hooked in the music scenes in Falls Church and nearby D.C., and started a band that she describes as cheesy folk-rock—they'd play wherever they could, including on the waterfront in Georgetown. "We put on a show on one of the docks and it started sinking 'cause we had all these people," Chami says. "It was fun!" She moved to the Chicago area to study at Northwestern. "Going to choir class was my favorite thing, and I wanted to provide that to kids too, so I majored in music, opera, and vocal performance," Chami says. In school she was surrounded by musicians with ambition, but Chami says that while they all kept busy in practice rooms she decided to pick up a loop pedal to satisfy her creative impulses. Before graduating in 2009, Chami was student teaching at a middle school, where a student told her he was going to apply to a new public arts school—specifically, Chicago High School for the Arts. "I was like, 'Oh my God, if it's new they're gonna need teachers,'" Chami says. "I got really lucky and got the job. It gave me a reason to stay here." Once she started teaching Chami began performing solo, and got more involved into going to shows at the Empty Bottle, the Hideout, and Rodan. By 2010 Chami found a consistent collaborator in Brian Griffith, and the pair formed an ambient project called L'éternèbre; they landed a Sunday residency at Rodan and released a self-titled cassette through Plustapes in 2011. Griffith wound up moving to LA that year—L'éternèbre didn't end because of the move, but Chami kept at their Rodan residency, first teaming up with other musicians, then on her own. Hausu Mountain founders Max Allison and Doug Kaplan went to see Chami perform at Rodan—a mutual friend told Allison to meet Chami partially because of a shared love for Bjork—and invited her to play with them in what became Good Willsmith. 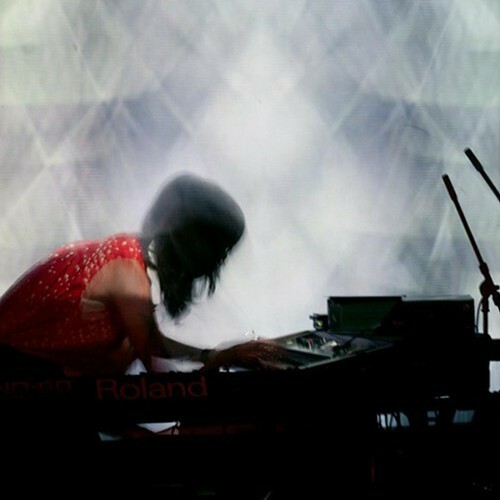 Chami's new bandmates were quite supportive of her solo work—Kaplan helped her get a gig opening for Japanese instrumental-rock outfit Mono at Subterranean in September 2012. "Doug knew the dude at Subterranean who needed a solo looping act, so they asked me to do it," Chami says. She played under the name TAL, which "comes from Tal or Tali, my mom calls me that," Chami says. Tal is a common name—the Reader has a Tal on our staff—which created a problem when Chami started a website for her solo work. "I made my website Talsounds.com because Tal was taken by a million people," she says. Chami soon adjusted her stage name to match her website. She honed in on her sound by practicing daily and recording herself once a week. When she performed at the Whistler for the record release show for her first full-length, 2013's Skyface, she says her disarming, sometimes delicate performance took some people by surprise. "People were like, 'What, when did you develop this?' And I was like, 'Dude, I practice every day,'" Chami says. The songs on All the Way come from a few different solo recording sessions, and Chami blends them together to make the tone shifts feel gradual and the changes in mood feel natural. She recorded the tracks using three synths—a Korg Lambda, a Korg MS-20, and a Roland Juno-60—plopping her hands down on the keys till she finds a meditative, repeating pattern. Chami feeds off the mood of her unfolding tracks, drawing from whatever thoughts and emotions come to mind while she improvises her vocals—in the end she lets whatever syllables come forth do the work. "I purposefully make up sounds instead of finishing sentences," she says. Her lyrics aren't always decipherable, particularly when she runs her vocals through a delay pedal, though her soothing vocals enhance the mood of each track. While some of her lyrics remain a mystery, on her best songs Chami evokes a distinct feeling that will stick with you even after the track ends. TALsounds performs tonight during the You Are Here Festival in the garage at Thalia Hall. Hausu Mountain curated the bill, which also features Ono, Potions, and Mind Over Mirrors.